STATEMENT BY THE NPP 2012 PRESIDENTIAL CANDIDATE, NANA AKUFO-ADDO, ON THE FILING OF THE SUPREME COURT PETITION CHALLENGING THE VALIDITY OF THE RESULT OF THE 2012 PRESIDENTIAL ELECTION, AT A PRESS CONFERENCE ON 28TH DECEMBER 2012 AT THE ALISA HOTEL, ACCRA. As our Chairman has indicated, a few minutes ago, a petition was filed at the Registry of the Supreme Court, challenging the validity of the result of the presidential election as declared by the Electoral Commission, through its Chairman, on December 9th, 2012. On 10th December, 2012, the Chairman issued C.I. 80 setting out “The Declaration of President-Elect Instrument 2012” in which the NDC presidential candidate, John Dramani Mahama, was declared the first-round winner of the election. C.I 80 was notified in the Gazette on 11th December, 2012. The petitioners are three of us Ghanaian citizens, me, Nana Addo Dankwa Akufo-Addo, the NPP presidential candidate in the election, Dr Mahamudu Bawumia, my running mate and Jake Otanka Obetsebi-Lamptey, Chairman of the New Patriotic Party. The respondents to the petition are the President-Elect, John Dramani Mahama, the person, according to the Rules of the Court, “whose election is challenged by the petition”; and the Electoral Commission, whose conduct is the subject of the complaint in the petition. The case is in court officially in our names because the law requires that an election petition challenging the validity of the election of the President of the Republic should be mounted by a citizen. But this is not a personal issue. This case is not about candidate Mahama or candidate Akufo-Addo. There is a much more important issue at stake, which goes to the heart of our democracy and the future of our nation. This action is being taken on behalf of the more than five million people that, according to the Electoral Commission, voted for me, to whom I am very grateful; and on behalf of all the eleven million people who stood in line patiently on December 7th, and in some cases, also on December 8th, 2012 to cast their votes and also on behalf of all 24 million citizens and on behalf of generations yet unborn. 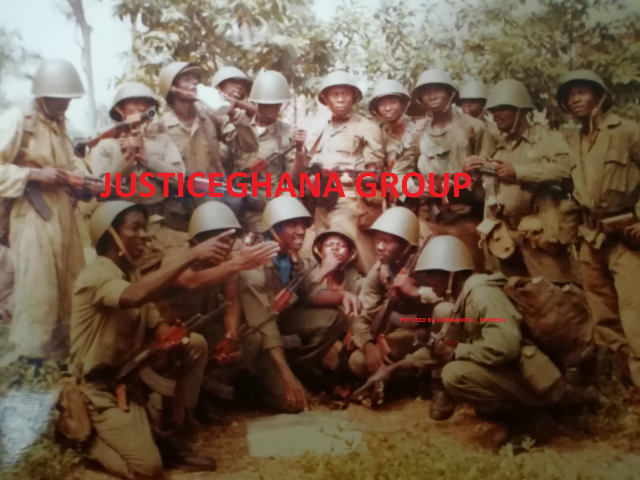 We of the New Patriotic Party, the party I belong to and which I had the honour to represent in the election, trace our antecedents to the men and women who gathered in Saltpond on that fateful day of Saturday, 4th August, 1947 to begin the battle for the independence of our country from foreign rule. The nation they envisaged on that occasion was to be a democratic and prosperous state. It has, therefore, been easy for us to be consistent in pursuing our political goals: we rejected the various political concepts that were tried on Ghanaians, be they fashionable or freshly brewed; the one-party state, the life-president, Union Government, and the various military interventions. We believed and fought for the establishment of a multi-party democracy in our country and we consider it our sacred duty to work for the deepening of the system of governance we have fought for so long and hard. This is why we are pleased with the stability and development of the democratic process of the past twenty years, and the improvement in the quality of life of our people that has taken place in that period. Democracies are founded on elections. No true democrat can disregard the importance of elections and the sanctity of the ballot. In 1992, when the first elections to usher in the Fourth Republic were held, we had grave misgivings about the conduct of the polls; we wrote a book narrating what we saw as undermining the credibility of the elections. The book, ‘The Stolen Verdict’, helped create a conducive atmosphere for the reform of our electoral system. Since then, we have continued to work hard to improve the electoral process in our country. We can say that almost every innovation that the Electoral Commission has brought to improve the process has been at the instigation of the NPP, and often in the face of initial resistance from the Electoral Commission: transparent ballot boxes, photo-ID cards, biometric registration and verification, and to that list I might add the fact that we, the ruling party of the day, accepted in 2008 a verdict of losing a presidential election by the narrowest of margins without any fuss. All these have made Ghana a shining example. I might make a personal interjection here to state that I have spent much of my adult life in fighting for the establishment of the democratic system of government and human rights in our country. And I have always fought for and advocated for a credible electoral process in Ghana. In emphasizing the importance of elections, it must be pointed out that the sanctity of the ballot is and must be supreme. In an election, we cast votes, then the votes are counted, the count is collated, the results are announced and formal declarations of results are made. In the entire process, we must never forget that it is the casting of the ballot that is sacred, the rest of the activities are at best, administrative duties. The count, the collation, the declaration of results cannot and should not be more important than the sacred, God-given right of a citizen casting his or her ballot. There is only one principle. Elections are about those who cast the vote, not those who count, not those who supervise, not those who transmit and not those who declare. The heart of the democratic process is about those who cast the vote. It was not an easy decision for us to tell the people of Ghana that we would not accept the results of the elections as declared by the Chairman of the Electoral Commission, but we had to accept the responsibility of righting, what in our view, was the wrong of an invalid election. In deciding to go to court, we were well aware that we were taking on a heavy responsibility and it turned out to be as massive a task as we had feared. The scale of what we have uncovered has surprised even the most sceptical among us. Personally, it has been a sad experience. Dr Bawumia will soon take you through the details of our findings and if you believe in the rule of law and the sanctity of the ballot, I dare say you will also be sad. Dr. Afari Gyan told everybody, no verification, no vote; so why was there such blatant disregard of the law. Dr Afari Gyan told us there would not and should not be more votes in the box than there were ballots given out; so why were there so many stations of obvious “over voting”? Dr. Afari Gyan told us the count and collation would be open; so why were there so many instances of dubious counts. We are ready to concede that in an election that involves more than eleven million voters, there might be mistakes; but why are the arithmetic mistakes so very often in favour of the NDC candidate, John Dramani Mahama? We have now put our case before the court, and are also putting the case before you, the people of Ghana. We leave it for the court to judge the merits. But once again, the NPP, through the petitioners in this case, is seeking to deepen our democracy by strengthening the institutions that are mandated by our Constitution to superintend the electoral process: (1) by ensuring that the Electoral Commission is accountable to the people of Ghana, and (2) the Supreme Court is seen by all as the ultimate arbiter of electoral grievances and disputes. Throughout the campaign, the elections and this three-week period since the elections, we have insisted and continue to insist on the peaceful conduct of all activities and I am proud to say that NPP supporters, in common with the overwhelming majority of Ghanaians, have behaved commendably. We in the NPP do not seek to destabilize our country, we are not revolutionaries. But we do seek to ensure that the will of the Ghanaian people is upheld, and we do seek to uphold the sanctity of the ballot through peaceful, legitimate means. We have every confidence that President Mahama and the NDC would be interested also that the right thing is done. The Justices of the Supreme Court will take up their responsibilities and by the time they make their pronouncements we expect that Ghana would be a stronger and more credible democracy. I thank the NPP members, supporters and volunteers for their hard work and patience. I thank especially all those who were involved in the massive BLUE/RED SHEET RETRIEVAL effort. The battle is, indeed, the Lord’s and we should all continue to pray. I thank those Ghanaian citizens, who are not necessarily NPP supporters, who have urged us on to seek justice in the courts and I thank you all for your attention. My belief in Ghana remains unshaken. May God bless Ghana and us all.